So, How does Classpass actually work? ClassPass has grown to be among the most popular ways to stay fit without having to stick to rigorous and strict schedules. With ClassPass, people have the chance to try new workout routines in as more than 8,000 fitness studios around the world. So, how did ClassPass get to this point? Well, ClassPass is basically a gym membership except for that it’s not just for one gym or different locations of that same gym franchise, it gives you access to both fitness studios and gyms. Thus, the company is not primarily responsible for creating the places where people would conduct physical activities. Rather, ClassPass does its best to work with fitness centers so people no longer have to get different memberships. To do this, they advertise their services to potential partners. In order to have more than 8,000 fitness studios to work with, ClassPass illustrates the benefits of being one of their partners. Simply put, studios and gyms alike have the opportunity to gain new members and expand the business. ClassPass caters to individuals who are interested in getting fit in new and interesting ways. Members will often check the available classes in their cities. A partner fitness studio can take advantage of this by providing high-quality spaces with the most reliable instructors, among other factors. Being part of ClassPass creates competition among the partners, which then leads to innovation. Another great thing about being a ClassPass partner is that unfilled slots are dealt with by ClassPass. The brand will do its best to lead people in while also paying for each reservation made. In fact, ClassPass arranges more than 50,000 reservations every single week. As such, fitness studios and gyms have a good reason to constantly improve. To make things easier for both ClassPass and the fitness studios, services such as MindBody and zingFit are utilized for the front desk of each partner. Members are fond of ClassPass due to the flexibility it provides in both price and schedule. Much like the yoga and barre classes you can find on the service. 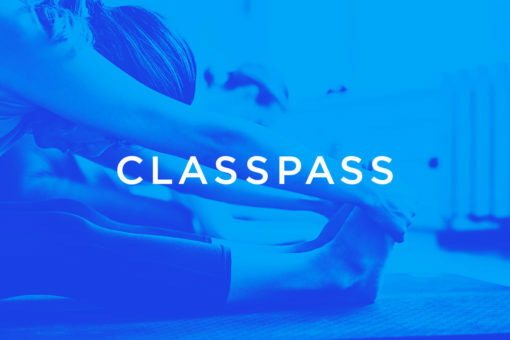 ClassPass allows people to take classes and try new activities whenever they want to. They do not have to stick to a single studio and they can cancel their membership immediately if they please. As long as the partner studio has it, ClassPass members can switch from yoga to martial arts the next day. Likewise, the membership prices vary by plan type and city. For example, individuals in New York have three plans to choose from. The first plan costs $45 per month and provides three classes but only allows one visit to the same studio. The next plan is at $75 per month, which gives 5 classes and grants two visits to the same studio. Finally, there’s a plan costing $135 monthly. This one allows members to attend ten classes while visiting the same studio three times. This flexibility also applies to the mobile OS as ClassPass has an app available for both Apple and Android members. Thanks to this, it’s easier than ever for people to explore the city and the many fitness studios they have. ClassPass is a gym membership that embraces technology and the desire of people to constantly try new ways of staying fit. With its flexible plans, people can always choose the right plan that fits their changing schedules. Likewise, the ClassPass mobile apps enable members to easily identify partner studios and gyms. With the added publicity garnered by being a ClassPass partner, these studios and gyms not only get new clients but also become more driven to offer better services in the long run. Thus, one can say that ClassPass is a triumphant product of technology, innovation, and smart collaboration.